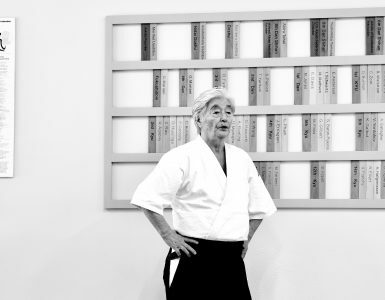 Stanley Pranin: When did you first begin to pursue aikido with an eye to your future as inheritor of the tradition? Doshu: It was only once I’d become a university student that I began to pursue it with real consistency. I had to go to school, though, so I could only practice a couple hours a day, in the morning or evening, depending on my class schedule. I suppose I got in about two hours per day on average. During spring vacations and the like I did an extra hour, for example practicing an hour in the morning and two hours in the evening, or vice versa. Even after graduating the pace stayed about the same until I was almost thirty. Around 1979 my father fell ill for a while, and from that point on the teaching duties began shifting my way gradually. Would you say that your father Kisshomaru had the greatest influence on you? He used to teach every morning and on Friday evenings, so I was always at those classes. I went to classes by the other teachers, too, but I had lived all my life under the same roof as my father, so the training I received under him undoubtedly influenced me the most. Was there ever anything in particular that your father emphasized in talking to you about aikido history? He didn’t really talk much about that sort of thing to me. Most of what I ever heard him say about it I picked up after I began training more regularly under him and when I accompanied him to seminars, lectures, and demonstrations. He never sat me down while we were at home and said, “Moriteru, it’s like this…” or “Moriteru, these are the things I want you to know…”In any case, from the time I was born I lived together with my grandfather, the founder of aikido, and my father, the previous Doshu, so I’m sure I’ve been influenced by them both in many ways, even if they never spoke to me specifically about such things. 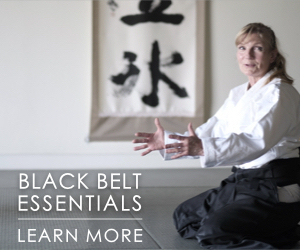 I was born and raised in an aikido environment, in all its aspects, technical and otherwise. What kind of training did your father give you specifically? I trained along with everyone else, so there was never any time when he called me aside to give me alone any special training. He always did make a point to give me certain pieces of advice while I was out on the mat, for example, to always perform my techniques cleanly and carefully, to keep my hips down, and to make my movements large. But in terms of how to do nikyo or sankyo or what have you, I’d been seeing and experiencing those techniques since I was small and already understood them, so I never received any particularly detailed instruction about them. Mostly what I was taught had to do with the larger main points like those I just mentioned. Did that include the kind of “rebellious” stage that most teenagers go through at one point or another? Well, no, in fact I never went against my father like that, but apparently I was something of a terror in elementary school. (laughs) I used to get into all kinds of mischief, and my mother was forever being called in to the school to account for something I’d done. So I suppose any rebellious urges I may have had got channeled outside instead of going against my father. 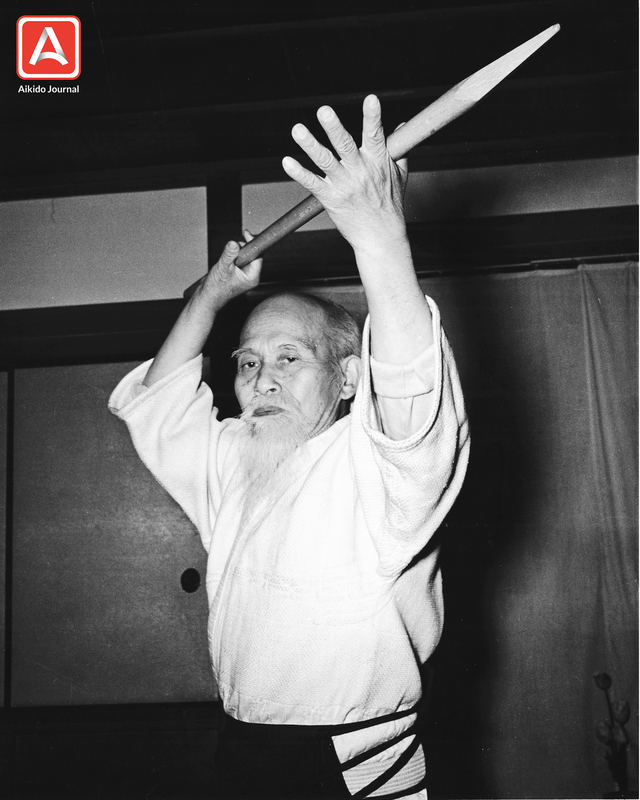 How do you view your father’s role in the history of aikido? Aikido exists because somebody created it, but the fact that it exists in its present form is in great part due to the cumulative results of the ongoing efforts my father made all his life based on his understanding of the founder’s intentions. 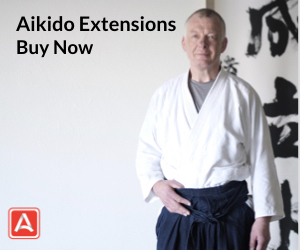 I think it is largely due to those efforts that aikido has taken the form it has now, and that it has become so popular and well-regarded throughout the world today. Looking even further back, in the process of formulating aikido the founder travelled extensively and pursued many different types of training, and he was able to do that largely thanks to the backing and support of my great grandfather Yoroku, who let him walk on his own path and helped him do it. My grandmother also supported him, in her own fashion, as his wife. So for the aikido we have today, we owe a great deal to the cumulative efforts of many different people. At the same time, there have also many fortuitous conditions, for example, the fact that the Hombu Dojo escaped destruction during the war. 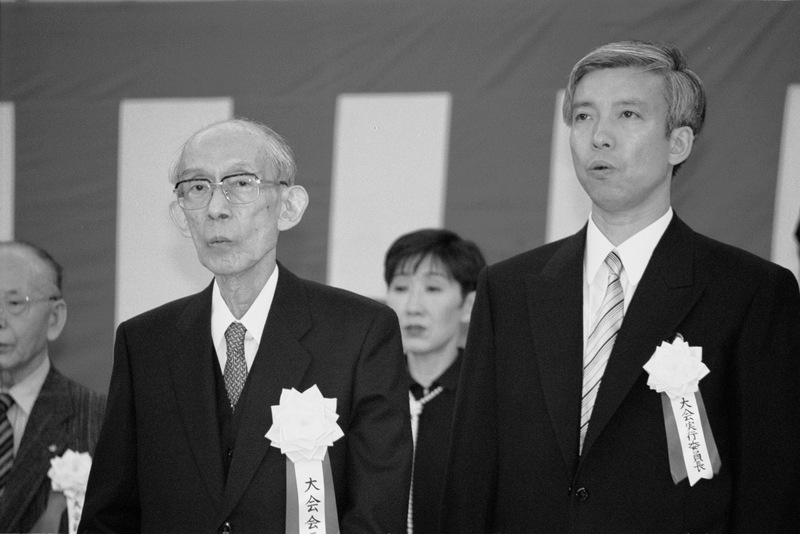 I would also mention the efforts of those who worked to have the Aikido Hombu Dojo legally recognized as a non-profit foundation (zaidan hojin) even before the war. It was first recognized as such in 1940, as the Zaidan Hojin Kobukai, and based on that was later recognized by the Ministry of Education as the Zaidan Hojin Aikikai (Aikikai Foundation) in 1947. 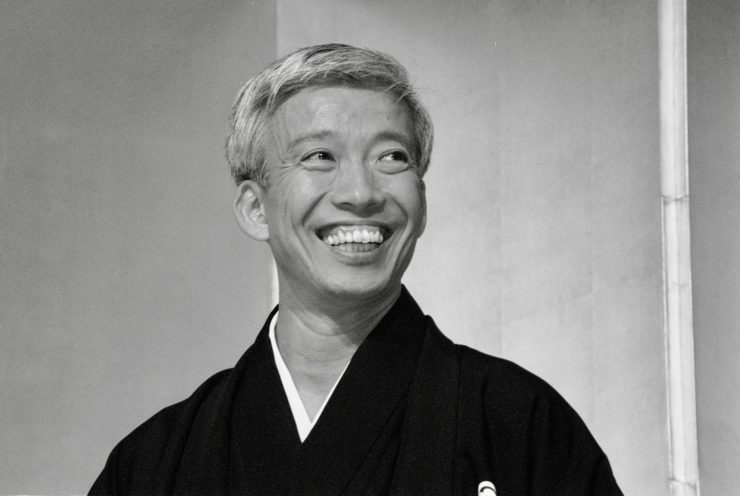 So aikido exists today through a combination of all of these factors: its creation by the founder, my father’s efforts as doshu, the survival of the dojo during the war, the establishment of aikido as a non-profit foundation, as well as the support the founder received from his parents, wife, and many others. I’ve heard stories of the desperate efforts your father Kisshomaru made to save the dojo from the fires that engulfed much of Tokyo during the war. I think only about five other buildings in this area managed to survive. Even the building right next door was burning, so they formed a bucket brigade in a frantic effort to keep the flames from consuming the dojo as well. Everything would have had to have been started from square one again if the dojo had been destroyed then, so it is quite significant for the development of aikido that it was spared. Yes, I think so. I remember when I was small, there was not yet much activity at the Hombu Dojo. For a time my father was actually in Iwama instead. He married there, and starting around 1949, he worked for about seven years at a company called Osaka Shoji. He had no other choice. Even if you have a dojo, you can’t make a living if nobody is coming to train, which was largely the case after the war. So, he took a job as an ordinary company employee during the day and taught only in the mornings and evenings. As things gradually began to stabilize, he was eventually influenced by various people to leave the company and take up aikido full time. I think it was deemed most proper for the son of the founder to assume a position of leadership, especially since it would help stimulate membership growth. We’ve just had our 37th Annual Aikido Demonstration [at the Nippon Budokan], but demonstrations back then were held in places like the rooftop of Takashimaya department store. I remember going there with my grandmother to watch one of them. Also, I believe my father enthusiastically encouraged many of the university students training at the Hombu Dojo to form aikido clubs back at their schools, so gradually aikido dojos began to appear in many parts of the country as those students graduated and returned to their hometowns. 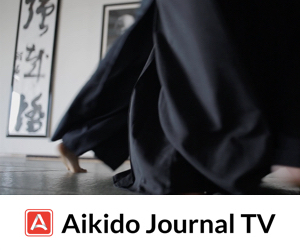 Encouraging the formation of university aikido clubs seems to have been an important element in spreading aikido. Did you yourself ever train at a university club? I’ve heard you were a member of your university’s calligraphy club instead. When did you first start travelling abroad to teach aikido? 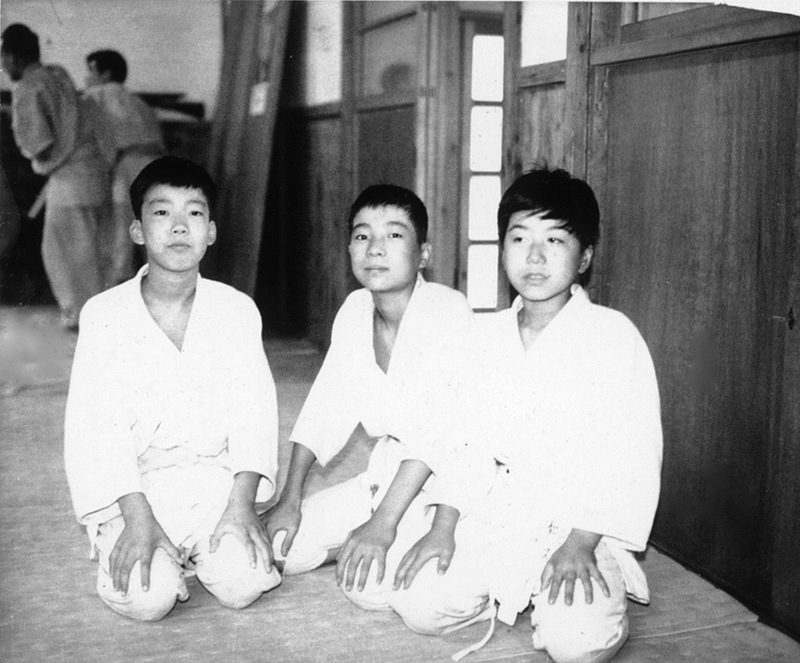 The very first time was in 1975, when I went with Mamoru Suganuma Shihan to accompany Doshu around Europe. The atmosphere of the training in each place we went was different depending on the teacher hosting us. In any case, it was my first time abroad, so everything was quite new to me. I remember being particularly impressed, for example, that our hotel in Rome had been built in such a way that it actually incorporated some ancient ruins. I also remember thinking how beautiful the sea in Cannes was. To tell the truth, most of my memories and impressions from that trip had more to do with it being my first time abroad than with the aikido training. We were only there for twenty-five days, but it was still a pretty packed schedule. 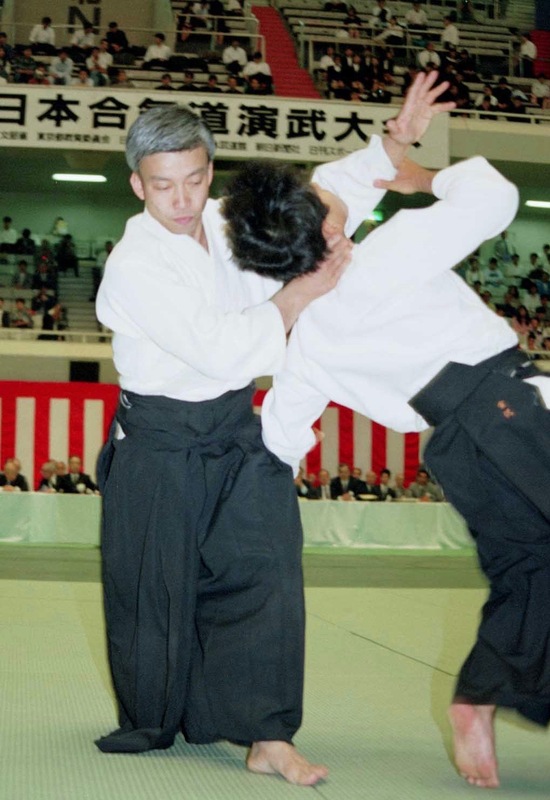 There are those who say that empty-handed technique (taijutsu) is the basis of aikido, while others assert that aikido is a so-called “comprehensive budo” (sogo budo) that includes the use of weapons. What is your view? 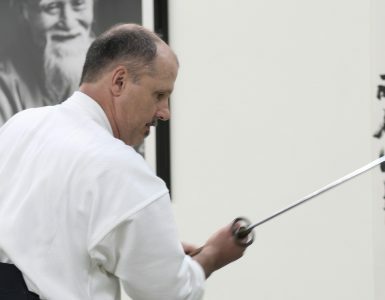 It is certainly true that founder often trained with weapons like the ken (sword) and jo (short staff) and explained that these were aikido; but most of my training has been under my father, the previous Doshu, so I am more inclined to go with the interpretation he espoused throughout his life, which is that empty-handed technique is the foundation of aikido. This is not to say there is anything wrong with training with the ken and jo, and people interested in pursuing them should by all means do so. There’s no reason to prohibit such things. 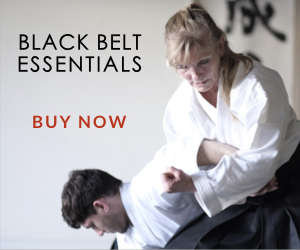 It’s perfectly fine if people want to use these as part of their own training, but I think it is a mistake to insist that they are [the basis of] aikido. Did you ever have an opportunity to train under the founder? Many people have asked me that question. I know it would sound good and fit the image for me to be able to say “Yes, I had a lot of special training under the founder,” but that’s just not the case. (laughs) I was around him from the time I was small, so I watched him quite a bit. I lived under the same roof with him and often watched him train, and I also attended his morning classes, but I don’t think there was anything special about my training under him. Sometimes the founder would teach the whole class, but there were just as many times when my father would be teaching and the founder would only come in for a while to add his own general explanation about whatever the class was doing. That was about the extent of my training under him. Sometimes during the morning classes he used to call me over to have a friendly chat, as grandfather and grandson, but he never told me to get out on the mat and practice. Did you ever find him a little frightening? The Ueshiba family’s relationship to the Omoto religion goes back nearly eighty years. What significance does Omoto have for the family now? Obviously my grandfather was highly influenced by the Omoto sect in the process of creating aikido, and particularly by Onisaburo Deguchi Sensei. My father was brought up in that environment, but I don’t think he was ever influenced by it to the extent that his father was. He was always conscientious to maintain and observe the various associated rites and functions, but he didn’t visit Omoto all the time the way my grandfather did, and I don’t either. The founder himself had an Omoto shrine built, and when he passed away a lock of his hair was enshrined there in the traditional manner. Whenever we hold the Taisai (lit. “great festival,” an annual ceremony commemorating the passing of the founder), we have the Omoto priests associated with that shrine come to perform the rites, but this tradition is based on the founder’s relationship with Omoto, not the Ueshiba family’s. In fact, the Ueshiba family temple is still Kozanji in the city of Tanabe in Wakayama Prefecture, and that is where the founder’s ashes are interred. 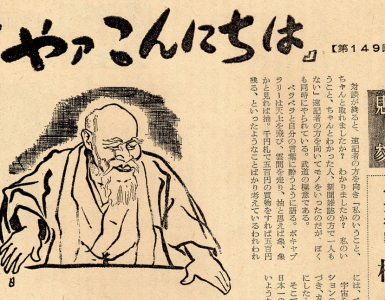 Morihei Ueshiba himself happened to have been influenced a great deal by Omoto in the process of formulating aikido, so that relationship remains to an extent; but I think the relationship with Kozanji as the ancestral family temple is the deeper of the two. 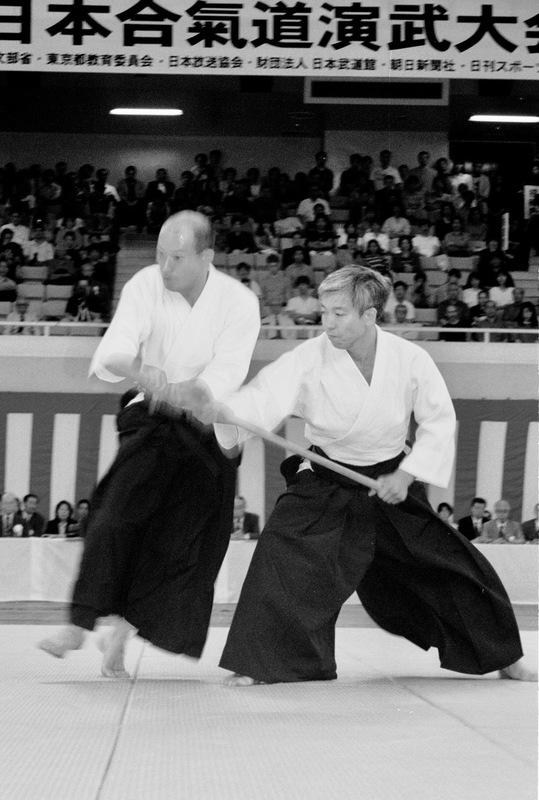 During the 1970s there were a number of people who left the Aikikai organization for various reasons, but who have later wanted to come back and have been allowed to do so. It seems to me that that kind of broad-minded acceptance was something the former Doshu Kisshomaru felt to be extremely important. As someone very close to him, I wonder if you can tell us anything about the background of that attitude on his part? Continued in Part 2 of the interview. Congratulations friend Stanley Pranin for the information given to us and also to see how they lived and live all the people associated with our martial art that is the Aikido such as our Doshus. Your work is very good, because it’s going in a good way. Some mistake there, surely. The Eastern part of WW2 started in 1937, with Japan making war on China. The Western part started in 1939 with Germany attacking Poland. So by 1940 the war was well under way. Good catch. It does seem like an error. I checked the original printing of the article from 1999 and the the statement from Doshu with that quote also has the 1940 date, so it seems like if that’s an error, it goes back to the original interview source material. Perhaps the Doshu was thinking of the Pacific theatre as a separate war. That began in 1941 with the Japanese attack on Hong Kong, which tied the two theatres together as the Japanese extended their activities to European colonial possessions, and the attack on Pearl Harbour which brought the USA into the war.